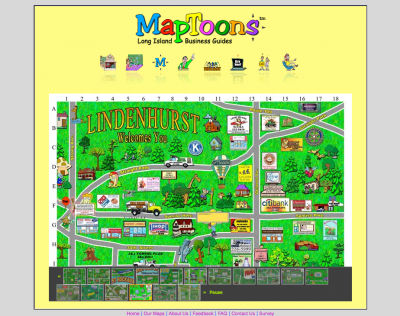 MapToons is Long Island, NY’s most successful, inspired and creative Cartoon Map company serving Nassau and Suffolk Counties and the Five Boroughs. Joomla! 1.0, Gallery, Frontpage Slideshow, Forms, Flash Menu and more. While WebVantage is not the cheapest provider, we have years of experience working with our clients needs. Many of our competitors will submit lower bids and then “surprise bill" at the end of the month for additional work. With WebVantage, you know what to expect—no hidden fees, no surprise bills and you will always receive high quality work. It is our goal to assist you in bringing great ideas to market in the minimum amount of time, using the least amount of resources, with uncompromised quality and growth potential. We want your business to be a success!